This one-of-a-kind votive fits nicely over a small tea light to give your room a cozy feel. Handmade by ceramic artist, Jason Lachtara, this votive is thrown on the potters wheel out of stoneware clay, then altered and handcarved. This piece is beautiful! A wonderful work of art! What a great votive!! I ordered this as a Christmas present for a friend of mine who loves home decor and I know she's gonna love it! The colors are even more vibrant in person. Thank you for your speedy shipping, especially for this last minute shopper! We want to make sure you enjoy the piece(s) you have purchased. If you are unsatisfied, please contact us within seven (7) days of receipt. 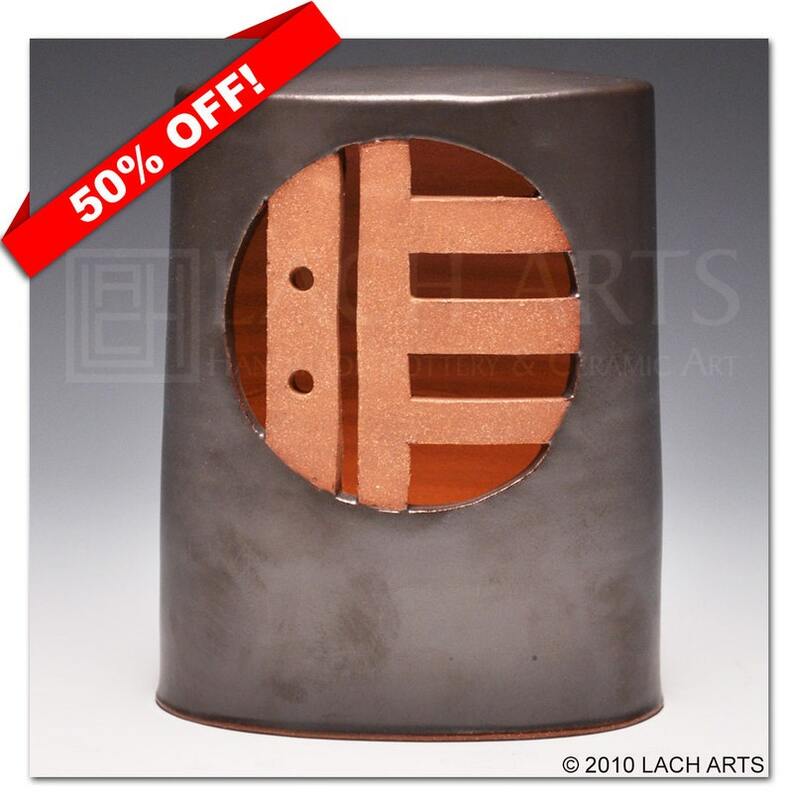 The buyer is responsible for the safe shipment and return shipping costs of the work back to Lach Arts. Upon receipt of the returned item, we will refund your purchase, less the cost of shipping. All sales are final after seven (7) days. Most items will be shipped from our studio via FedEx within seven (7) days of receiving payment. Our shipping prices are estimated from Florida to California. If you are shipping to a destination closer to Florida, convo us before purchasing and we may be able to adjust the shipping price for you. INTERNATIONAL SHIPMENTS - We have not estimated the cost of shipping for international shipments at this time. If you would like us to ship the order internationally, please convo us and we can estimate the cost of shipping to your destination.